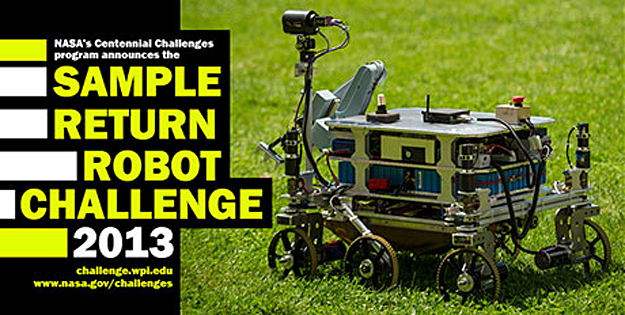 Fourteen teams from across the country and around the globe are perfecting their hardware and software to compete for $1.5 million in prize money at NASA's 2013 Sample Return Robot Challenge, the latest competition of the agency's Centennial Challenges program. The event will take place in June at the Worcester Polytechnic Institute in Worcester, Mass. 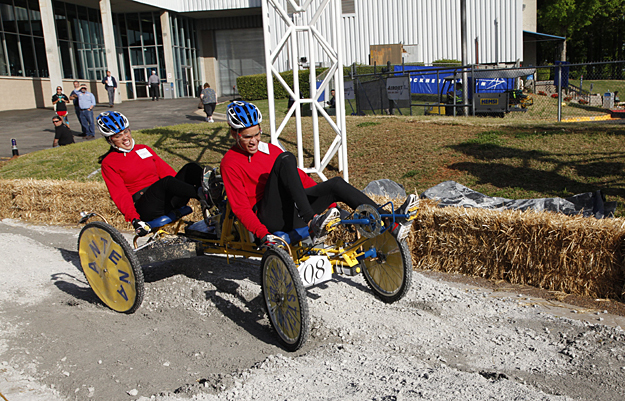 NASA today declared the winners of the 20th NASA Great Moonbuggy Race at the U.S. Space & Rocket Center in Huntsville, Ala. Team 1 from Teodoro Aguilar Mora Vocational High School of Yabucoa, Puerto Rico, won first place in the high school division; racers from the University of Puerto Rico at Humacao claimed the college-division trophy. NASA, the U.S. Agency for International Development (USAID), the U.S. State Department and Nike have issued a challenge to identify 10 game-changing innovations that could enable fabric systems to enhance global economic growth, drives human prosperity and replenishes the planet's resources. The challenge is open through July 15 and seeks creative innovations in the materials from which fabrics are made, with a focus on positive social and environmental impact in space and on Earth. Ten innovators will be selected to present their fabrics solutions at the LAUNCH: System Challenge 2013 forum, which NASA will host Sept. 26-28 at the agency's Jet Propulsion Laboratory in Pasadena, Calif. 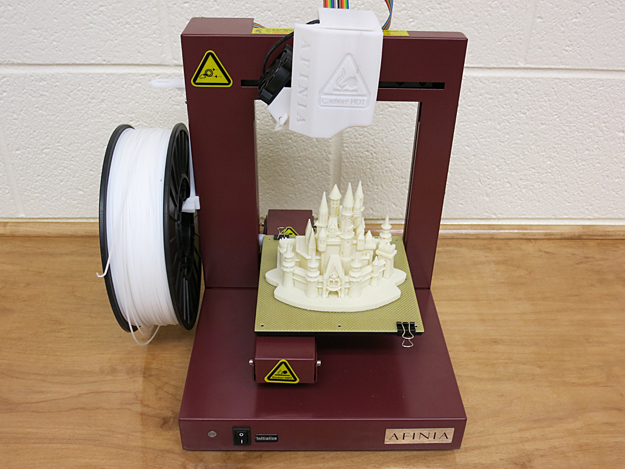 Driven by design software, 3-D printers churn out made-to-order objects on a desktop. A myriad of materials from polymers to metal alloys enable virtually anyone to manufacture almost anything they can imagine, including glow-in-the-dark pens, Lego-like building blocks, cogs and gears, electrical circuits and jewelry. Advanced applications produce living tissue for replacement organs in the body, intricate engine designs and parts for spacecraft during deep space missions. Sol is the world's first interplanetary weather app. The mobile and tablet application integrates weather data from the Curiosity rover on Mars with weather data from here on Earth. The project aims to provide users with a sleek, visually appealing weather app that also incorporates information about the conditions and temperatures on Mars. Also, a second companion app was created to augment the Sol experience. The augmented reality application offers two scenes for users to experience on Mars. The first scene allows users to a control a 3D version of the Curiosity rover as it rolls across the planet and through weather events, like a dust storm. In this scene, facts about Mars and weather on the planet appear as the rover moves around. The second scene is a 3D version of Mars that allows users to spin the planet around and read facts about the planet. 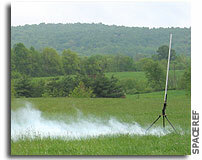 It was rockets ready, set, soar April 21 at the 2012-13 NASA Student Launch Projects challenge. More than 600 students, representing 56 middle schools, high schools, colleges and universities in 26 states, launched rockets of their own design -- complete with working science or engineering payloads -- at Bragg Farms in Toney, Ala. The students vied to see whose rocket could come closest to the 1-mile altitude goal and safely return its onboard science or engineering payload to Earth. Fifty-four teams took part, though six faced mechanical or technical issues and did not launch. Ten preliminary awards were presented. The grand prize -- $5,000 from ATK Aerospace Group of Magna, Utah -- will be awarded May 17 after final post-flight analysis and review are complete. This is the sixth year ATK has sponsored Student Launch Projects. Three smartphones destined to become low-cost satellites rode to space Sunday aboard the maiden flight of Orbital Science Corp.'s Antares rocket from NASA's Wallops Island Flight Facility in Virginia. SpaceRef has been provided with new details and images. "The International Space Apps Challenge is an international mass collaboration focused on space exploration that takes place over 48-hours in 80 cities around the world (in 42 countries) on the weekend of April 20-21, 2013. The event embraces collaborative problem solving with a goal of producing relevant open-source solutions to address global needs applicable to both life on Earth and life in space. NASA is leading this global collaboration along with more then 150 partner organizations." "In April, you are invited to join thousands of enthusiasts to invent and create applications to help space exploration and improve life on Earth at the International Space Apps Challenge. During this app-jam, participants are challenged to use freely available data and rework them for new purposes or present them in new ways." NASA will host a one-day event for 30 social media followers on May 22, 2013, at NASA's Johnson Space Center in Houston, home of Mission Control. The NASA Social will give guests an opportunity to learn more about the International Space Station, the scientific research conducted aboard, and the unique purpose-built facilities on the ground that enable this research. 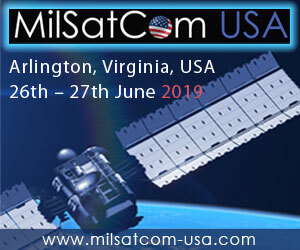 Participants will also have a chance to ask questions of space station management and scientists on the upcoming mission. 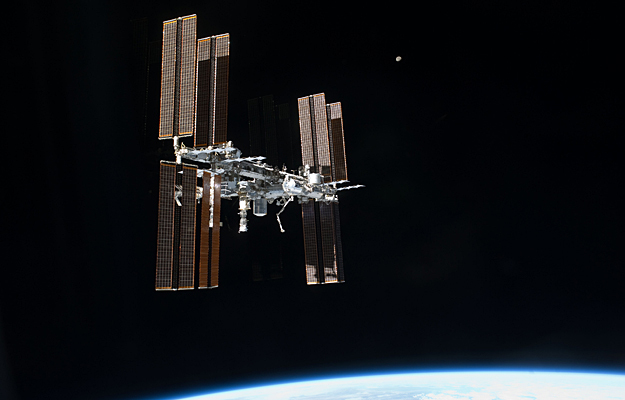 Engineers at NASA Ames Research Center have begun experimenting with 3D printers for some spacecraft design. CNET's Sumi Das visits one of its newly open workshops -- filled with state of the art equipment. The Center for the Advancement of Science in Space (CASIS), the nonprofit organization promoting and managing research on board the International Space Station (ISS) U.S. National Laboratory, showcased its new education website, "CASIS Academy," over the weekend at the National Science Teachers Association conference in San Antonio, Texas. High school students from 8 different ESA Member States have completed the third European Cansat Launch Campaign, which was held in The Netherlands for the first time. 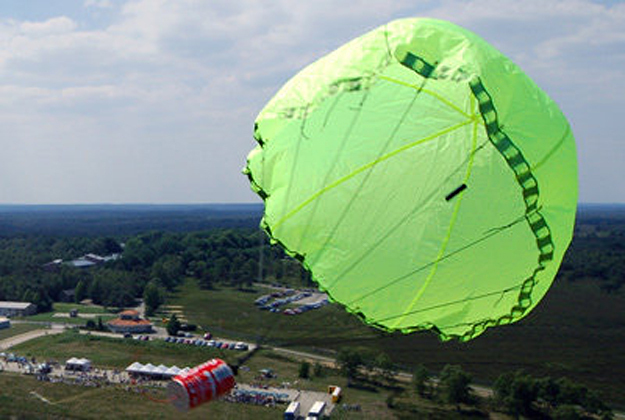 15 student teams from across Europe participated in the four-day event. Preparations for the flight campaign began soon after the teams arrived at the Delft University of Technology on 10 April, when technical inspections were made to ensure that each of the CanSats could be integrated in the rockets. Four teams of high school students received top honors at the 2013 Innovation Summit, the final round of competition for the 2012-2013 Spirit of Innovation Challenge. Their efforts to create a product or service to benefit humanity earned winning teams a total of more than $50,000 in cash prizes and awards. The Conrad Foundation's Spirit of Innovation Challenge celebrates the life and entrepreneurial spirit of astronaut Pete Conrad, third man to walk on the Moon. 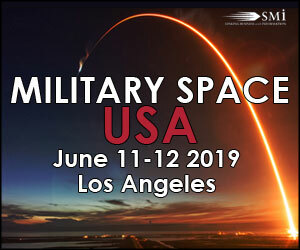 Presented by Lockheed Martin and Battelle, the annual program is a multi-phase, business and technical plan competition, free and open to students ages 13 - 18 from around the world. During the course of seven months, students use science, technology, engineering and math skills along with creativity and collaboration and entrepreneurship to develop innovative products and services in one of four categories: Aerospace and Aviation, Cybertechnology and Security, Energy and Environment, and Health and Nutrition. 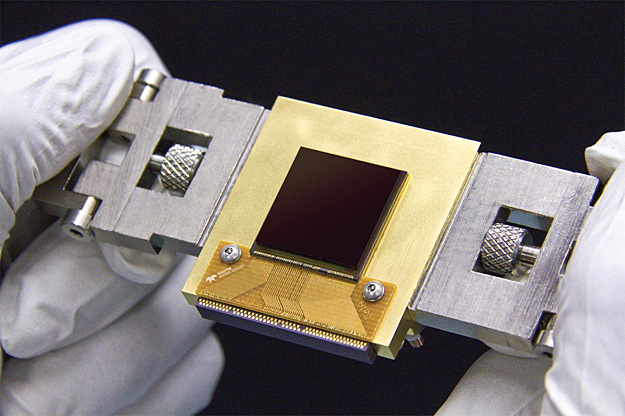 An infrared sensor that could improve NASA's future detecting and tracking of asteroids and comets has passed a critical design test. The test assessed performance of the Near Earth Object Camera (NEOCam) in an environment that mimicked the temperatures and pressures of deep space. NEOCam is the cornerstone instrument for a proposed new space-based asteroid-hunting telescope. Details of the sensor's design and capabilities are published in an upcoming edition of the Journal of Optical Engineering. The sensor could be a vital component to inform plans for the agency's recently announced initiative to develop the first-ever mission to identify, capture and relocate an asteroid closer to Earth for future exploration by astronauts. On the 40th anniversary of the famous 'Blue Marble' photograph taken of Earth from space, Planetary Collective presents a short film documenting astronauts' life-changing stories of seeing the Earth from the outside - a perspective-altering experience often described as the Overview Effect. NASA and over 150 partner organizations worldwide will be hosting the International Space Apps Challenge on April 20-21, 2013. The International Space Apps Challenge is a technology development event during which citizens from around the world work together to solve challenges relevant to improving life on Earth and in space. NASA and its partners have released 50 challenges for the second International Space Apps Challenge. 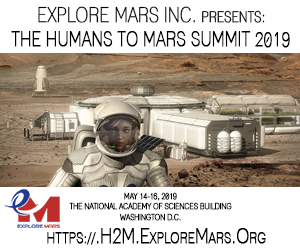 Participants are encouraged to develop software, hardware, data visualization, and mobile/web applications that will contribute to space exploration missions and help improve life on Earth. 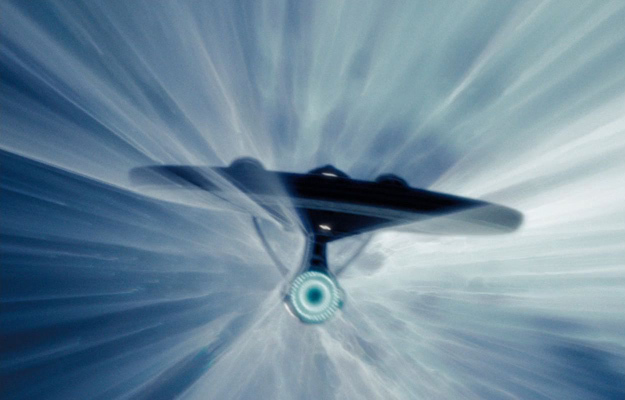 Few people know this but NASA actually has a warp drive program underway at Johnson Space Center. A recent article on the program created some open-ended questions that needed to be answered. The article seemed to imply that Harold White (who heads the project) had signed non-disclosure agreements such that he could not discuss public-funded research. That's a little unusual for NASA. So I sent a series of questions to Harold White and NASA PAO.